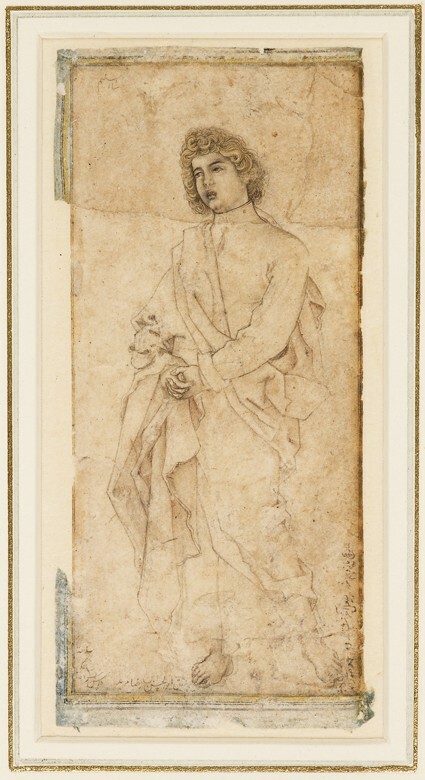 This drawing, after an engraving of the Crucifixion by Albrecht Dürer of 1511, is the earliest known work by the famous artist Abu’l Hasan, then aged twelve. 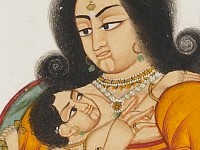 It is already more of a creative reinterpretation of its original engraving than a mere copyist’s exercise. Within a few years, Abu’l Hasan’s refined naturalistic technique, together with his psychological insight, would make him the foremost portraitist at Jahangir’s court.